orange county • san diego • los angeles • temecula • and beyond! Blow Outs, Braids & Updos! Brides love us! We are proud to say that we lead the way in wedding hair and makeup in the Southern California market with 5 stars on Yelp, WeddingWire and theKnot. Vanity Belle is a licensed & insured corporation, operating since 2012, with contracts, processes, and policies in place to protect you and to ensure a smooth, organized process from the first moment we speak. A one-stop-shop for all your beauty needs before and after your wedding day! 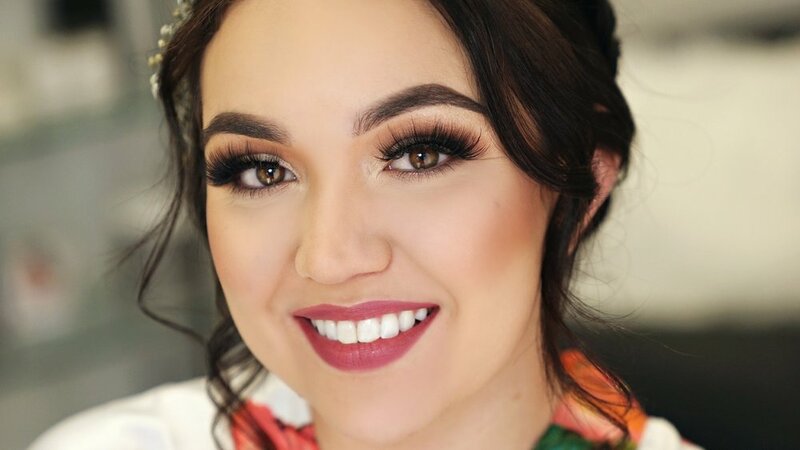 We can help you prep your hair and face before the big day, and you can definitely count on us for all your ongoing beauty maintenance, from color and haircuts, blowouts, brows, eyelash extensions and beyond! We offer our brides a discount on these services once a contract is in place! Access to large team of talented freelance artists trained in wedding day looks to make you feel like your best self and can accommodate any size bridal party. We make it our priority to pair you with the artist that best fits your needs. Your bridal artist(s) travels to you on your big day with on-location tools and supplies to beautify you and your tribe, keeping your day completely stress free! We're fun to hang out with - so we're told! Vanity Belle not only works with the most talented artists, but the kindest, most humble of artists too. We are a family, and welcome every client with a smile and a hug. A full-time & freelance staff behind the scenes to promptly answer your call, emails and questions every day of the week. Our artists never stop learning! That way they're always bringing you the latest trends and real techniques!